Yesterday, after a nice leisurely Sunday breakfast out, my husband and I found ourselves near the Volunteer Park in Seattle with its beautiful old glass conservatory. 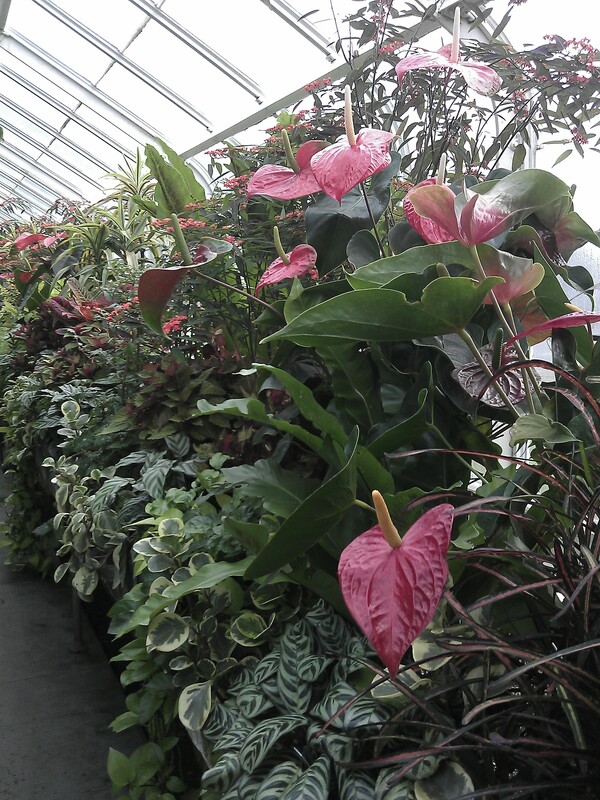 All the grey foggy days we’ve had around here of late made us hanker for live plants and color, so we stopped by. Seeing beautiful foliage and lush blooming plants put me in the mood to think about clematis (unfortunatley, there weren’t any in the conservatory). 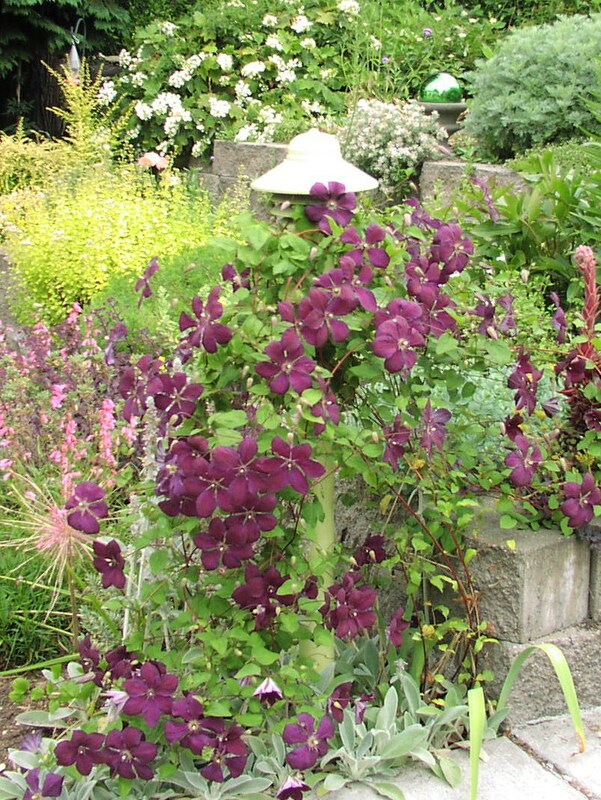 When I got home I spent some serious time perusing the websites of my three favorite mail-order clematis nurseries in the US and day-dreaming about which new clematis I wanted to grace my garden. Most years I buy at least a couple of clematis from each one of these great nurseries. I know, I know, where will I put them all you ask?! Don’t worry, I always find a way–I have a big shoehorn just for this purpose. Today I will tell you about Silver Star Vinery, which is located in the foothills of the Cascades near Vancouver, Washington. 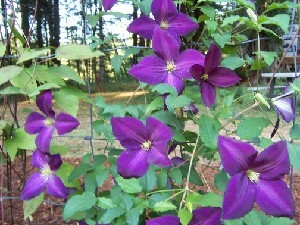 This mail-order-only nursery offers a wide variety of well-established, healthy clematis. Owner, Debbie Fisher, has strong connections with many European hybridizers and imports a few new cultivars almost every year. Her big healthy plants tend to get going quickly. Before she ships, she usually sends her customers an email telling them to go dig the holes cuz she’s heading to the post office! I bought Clematis Star of India from her last spring and by July this saftig young plant had at least 25 beautiful flowers on it — and I’d had it less that six months! Check out my photo. Check back in a couple of days — I’ll tell you about Joy Creek Nursery and what I ordered from there. 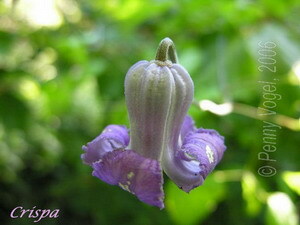 Clematis crispa, a sweet little fragrant bell! A new Jackmannii — Jackmanii purpurea. Debbie says it’s VERY floriferous! In the depths of this Seattle winter, the wet, wet, and more wet has metamophosed many plants into black slime. Deeeee-skusting! Serious garden clean up is in order. 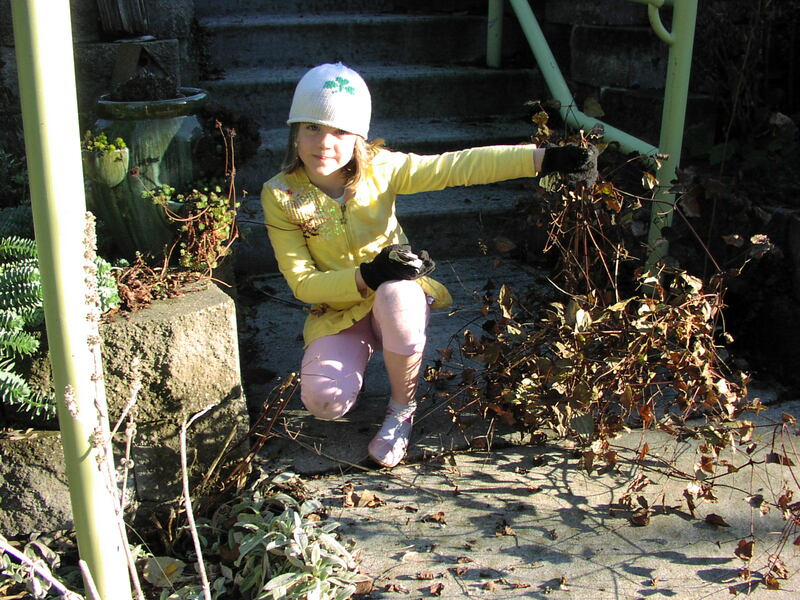 But, wait — even more important to a clemaniac like myself, with 130 clematis out there, is to begin pruning . From late fall to early winter, I work on clematis that have their main flush of blooms in July, August, and September, like the Clematis Abundance on the right, showing off in July. 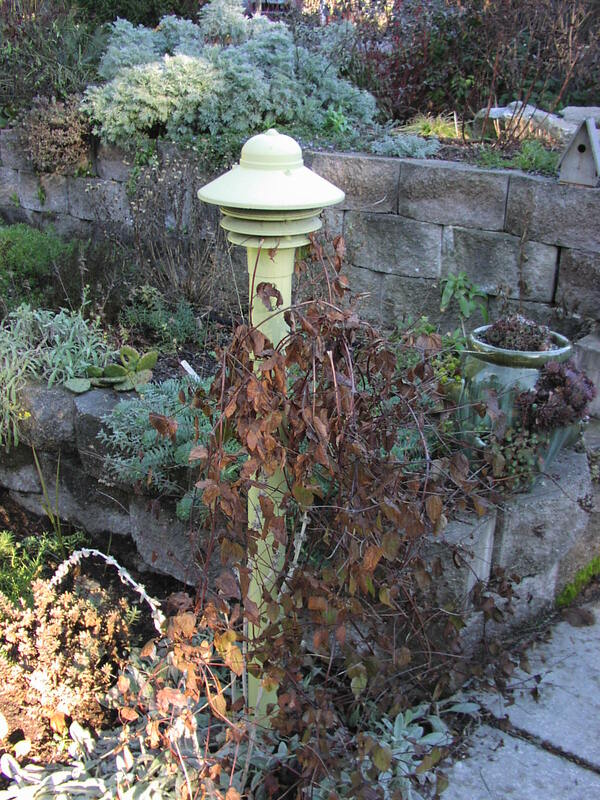 These clematis are in Pruning Group C or 3. They bloom on new wood (that is, new vine), so they can be cut back hard without affecting next summer’s bloom. They will bloom only on the new vines that grow in spring and summer. But don’t hard-prune spring-blooming clematis, like C. montana, C. armandii (the evergreen clematis), and C. alpina, for instance, which are in Pruning Group A or 1. They can be pruned in late spring after they have finished their show. And we have to wait a couple of months yet til late February or March, depending on the weather, before we can prune those luscious large-flowered beauties that have their main bloom time in May and June — they are in Pruning Group B or 2. 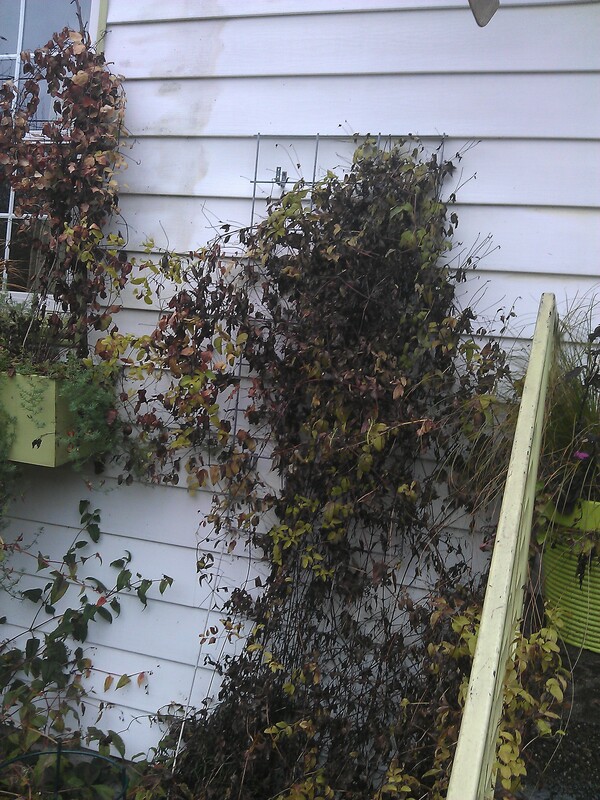 That’s because these clematis bloom on old vines, on which they already formed their blooms last summer or fall. If pruned hard now, most or all of the blooms for the year will be lost. Instead, wait a bit longer to prune them, and then, only lightly — I’ll be sure to show you how when the time comes. Back to my recent pruning. Here’s C. ‘Abundance’ again, this time showing their winter charms — NOT. And right by the front door, too. 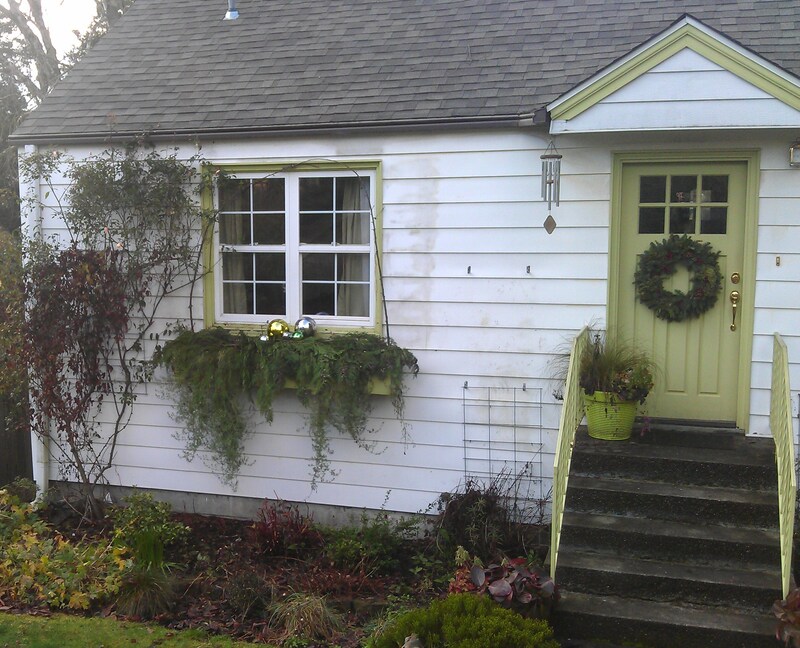 I pruned both C. ‘Abundance’ and the one in the window box next to it back hard (down to 1-3 feet) just before Christmas. Sounds drastic, but worry not — they will come roaring back in the summer. And now I’m not subjected to those ugly dead leaves for the rest of the winter. Check the after photo below–looks better,eh? Especially after I covered the window boxes with greens and all my gazing globes for a holiday effect. Turns out this treatment has the added bonus of helping marginally hardy plants in my window boxes, like begonia, flowering maple (abutilon), million bells, and others, survive the winter and give me a head start in the spring! Here’s the how-to of pruning these great summer bloomers in Pruning Group C or 3. We call it the pony-tail cut. Find your pruner, put on your gloves, and head outside. Look for a likely summer-blooming pruning candidate . 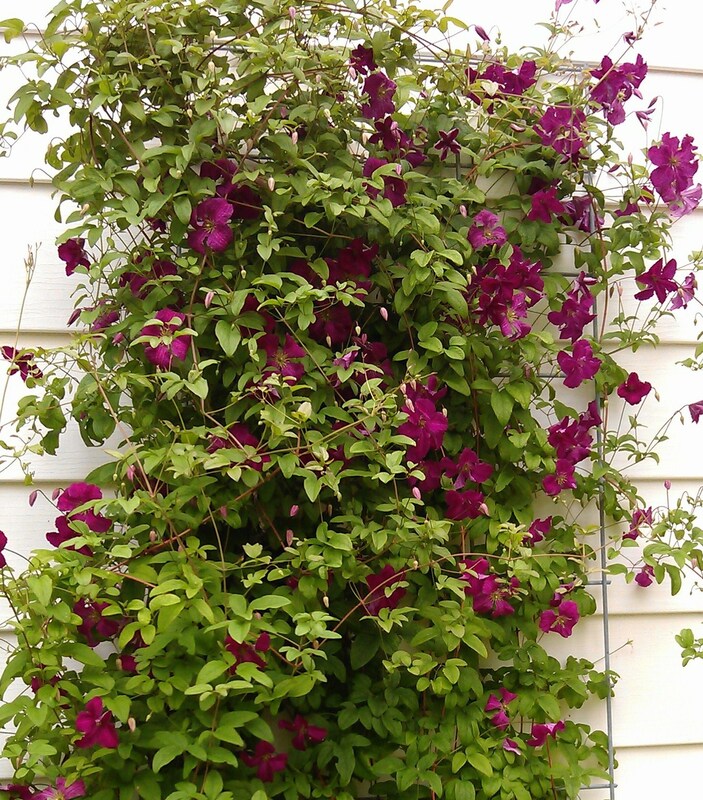 Grab a handful of vines in one hand and whack them off 1-3′ from the ground with your pruners. If the plant is large with many vines, several pony-tail cuts may be in order. Then put all that dead mess in the yard waste. Easy! So easy, in fact, that a child can do it! 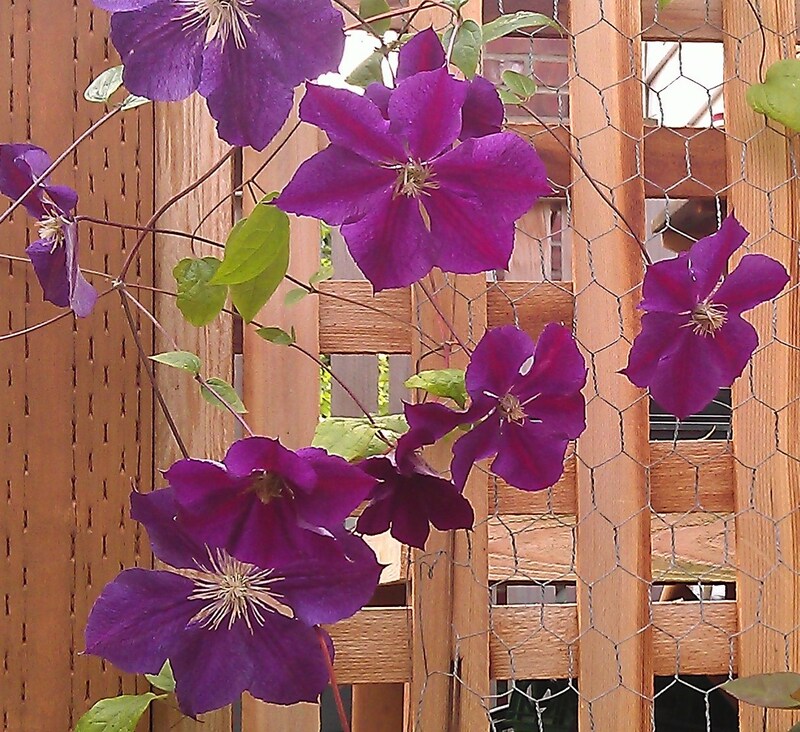 See my Clematis Negrityanka below blooming away last July. Then look at it in November. Yuch. 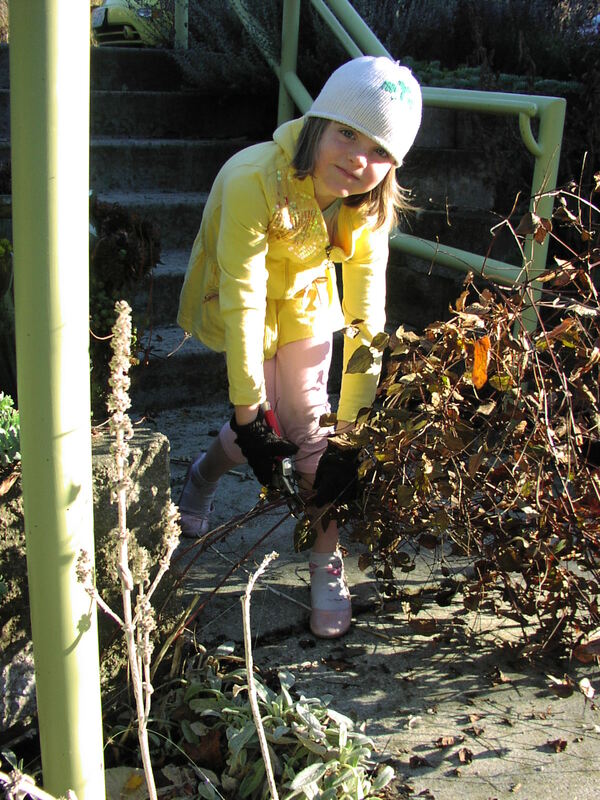 As you can see from the series of photos below, my young friend Tessa grabbed the vines in her left hand like a pony tail and cut them back hard with the pruner in her right. Easy as pie! Tessa grabs the vines in her left hand and cuts them with her right.